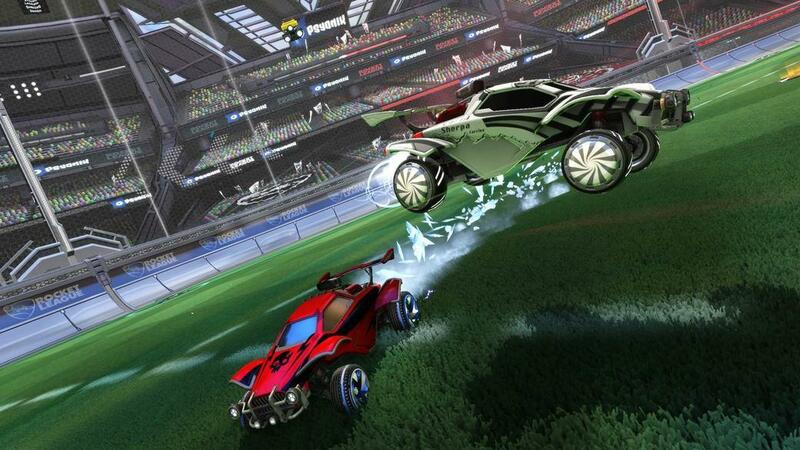 Stephen ‘Tylacto‘ Griffin of Team Secret is a warrior in the Rocket League pro scene. 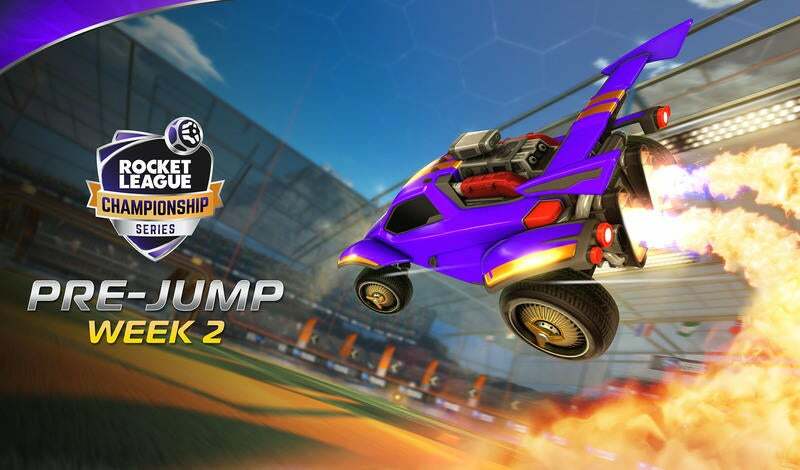 Along with teammates Jack ‘FlamE’ Pearton and Oliver ‘Continuum’ Meier, the trio formerly known as Aeriality charged through the Rival Series Play-ins in Season 4, defeating the Leftovers (now known as Fnatic) to qualify for the Rocket League Championship Series (RLCS). The highs of joining the Team Secret organization and qualifying for the RLCS were followed by the lows of a winless 0-7 season and relegation back to the Rival Series after losses to Fnatic and Team Envy in the Promotion Tournament. Completing the roller coaster ride, Team Secret had a successful run in Rival Series Season 5 and qualified for the Promotion Tournament, only to lose to Servette (now mousesports) and Fnatic to remain in the Rival Series. 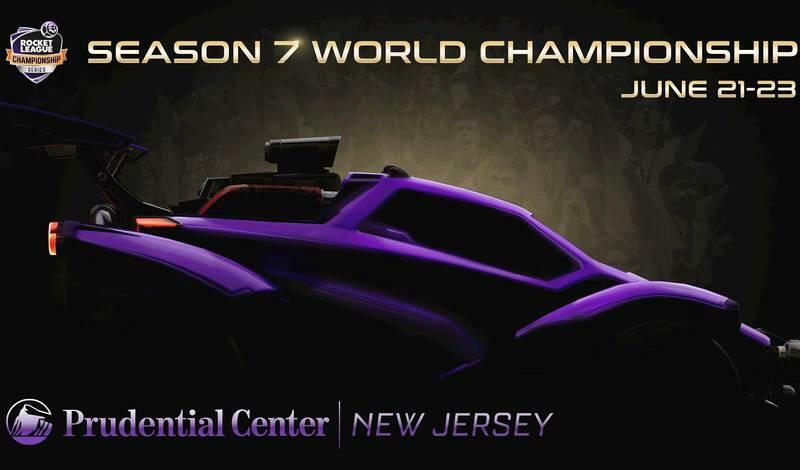 In Season 6, they hope to claim a Top 2 spot in the most formidable Rival Series season yet and win in the Promotion Tournament to once again qualify for the RLCS. I had the chance to speak with Stephen about his history, ambitions, and the upcoming season. Q: When did you first pick up Rocket League? What made you keep playing? I first discovered Supersonic Acrobatic Rocket-Powered Battle-Cars through a friend sometime around Christmas in 2015, you know how it is, late night gaming, seeing what cheap games we could binge. Little did we know Rocket League was already out, but we had a blast losing to bots in SARPBC for hours. I did eventually discover Rocket League in January, so I guess the rest of the pack got a seven-month or so head start on me. As for what kept me playing, well, I don't know, it's just beautiful. It's just like a sport, the physics are so simple but you can sit doing the same shot for hours and hours, you feel like that typical movie character who stays behind shooting basketballs over and over. In my case the happy ending hasn't happened yet. Q: You qualified through the Play-in Tournament for RLCS Season 4 - how was that day? I don't know if I'll ever forget that day. It's one of the rare times I feel like I've shown the masses how well I can actually play, let alone how well we played as a team. The Leftovers had been in bad form for a while and we didn't give them an inch, regardless of our nerves. But that was just the end of the day, the series prior we had to reverse sweep an Inspiration team that consequently ended up in RLRS. I didn't sleep that night. I can't describe how electric it feels afterwards, knowing the job is done and you've lived up to, or even exceeded expectations for once. We should have been able to savour that feeling again but oh boy I'm sure looking forward to the next question when that comes up, nice. Q: Your team has been in two Promotion Tournaments. So close in both. Can you take me through them? Preferably not, but hey, the first [Promotion Tournament] was hopeless, moving to University and trying to fix my PC, both excuses I doubt would have mattered in the end. Even in average form which we hadn't seen since week 1 of the season, Fnatic had clicked from their Rival Series time and played fantastic that day, and with Team Envy having so much firepower, I think we played respectable to make the games as close as they were given the circumstances. As for the second Promotion Tournament, I can only explain it as clearly the act of a greater being. The stars aligned and we simply weren't quite good enough on that day. The stars let you grow though, and sometimes I feel like a farmer who grows players who just get picked when they're ripe, at least I'm good at that, though. Q: You guys are consistent. You’ve come so close - what do you have to do now? Any adjustments you are focusing on? Yeah, there are no adjustments to be made. We just need to stay in practice and hope the dice-roll of a season doesn't give us a ‘one.’ I think I've nearly finished flex-taping my heart back together after last season since that caused a lot of damage. It's a firework of a season, so there's really no specific teams to worry about -- just be so terrified of losing against every team that you scream loud enough to make their internet disconnect. Q: In the off-season, Maik ‘Tigreee’ Hoffmann went to mousesports and you and FlamE brought in Sandro ‘Freakii’ Holzwarth. Can you explain how that all unfolded? The offseason was transfer mayhem seeing as six of the RLCS teams at minimum were certainly looking to make changes, and it's much easier to get picked up onto an RLCS roster than it is to get yourself promoted there, so at times it felt like every man for himself. Tigreee was a no-brainer, he's always been best mates with Alex ‘Alex161’ Ernst and it was no secret that they had fallen out with Joseph ‘MummiSnow‘ Salameh. After the big game of musical chairs, myself and FlamE knew that we needed to find a player to complete the roster once more. We tried a number of players but it's hard to resist a player who made it to the world championship, has quality oozing off of him and statistically, in terms of score per boost used (awesome stat), performed massively last season. Q: How is the team dynamic? Pretty cool, I've been playing with FlamE for well over a year so we're more like brothers, and as for FreaKii, well, he's quite a character, cheeky in game and down to earth outside of it. As for social media drama I like watching it just as much as you guys, so why not? He's a more passive player than Tigreee, which gives FlamE more time with the ball and allows me to move up the pitch more often for the first time in a while, so our playing style feels more balanced. Q: What would it mean to you to qualify for RLCS (again)? Q: You were at LANdon, right? How was that? What’s it like seeing all these fans come out for a Rocket League event? Correct, it was really great to be able to witness first-hand the progression of the live [RLCS] events, having also been to Amsterdam for the Season 2 World Championship. Annoyingly, both times I had to leave early on the final day, missing the Grand Finals and after-parties, but it's not like I missed anything, right... Seeing the fans is fantastic, I'd anticipated it but the fuzzy feeling you get when somebody stops you to take a photo or ask for an autograph is really something. Just to see someone so happy simply because they got a photograph with you really reassures that the thousands of hours you've put in were worth it, at least for something. It keeps you going when you remember that you have to be the greatest. Q: For you as a player - what do you think of the growth? The increased prize pool. Is it all still fun and games? It's great news, seeing the prize pool hit seven figures is quite the milestone although I've always been a fan of Psyonix -- so nice to see the skeptics have to shut up about that one. I don't know if it was ever fun or games, at least for me, but I trust that the scene will have steady growth for years to come, even if we don't get everything we want as soon as we want it. Q: What are you up to outside of rocket league? How is it balancing everything out? Well I'm not sure if it's balancing as much as it is barely fitting everything in. I go back to University midway through this season which is when the chainsaw juggling act will start up again. I'm studying Astrophysics, so I have the fun of a full-time degree, living away from home, and an esports career all at once. Yes, that's as terrible as it sounds, but I can find peace in the fact I still put in above average hours into practicing the game in which my passion lies. Besides, it's just hard difficulty mode, it's crippling but more fulfilling. Q: Any suggestions for players out there looking to improve? I could suggest something in game, mechanics-wise, like learning to play off the small pads rather than going back for full boosts as often, but what's more important is mentality. I don't care how fantastic you are at air dribbles or flip resets, you will never achieve the greatness you're looking for if you do not have the determination to improve, win or lose, and the maturity to always respect yourself, your teammates, and your opponents. Even if that may not be fully true for all professionals in the scene, the longer time goes on, the more that will become the case. Q: Besides a cool open-world story mode or a Tylacto-branded stadium, anything you’d like to see added or changed in the game/scene? I am totally down for that stadium. I'm hyped for the new Ranked Extra Modes, and would love to see 3v3 Hoops on a slightly bigger map, but there is a far more important in-game feature that has been swept under the rug for too long. Why. Can we. Only see. Four cars. In a party. At the main menu? Why? Completely unplayable. Why we can’t see all eight cars in a big circle, player names below them, and a little campfire in the middle is beyond me. On a more serious note, there are a number of changes from an Esports perspective that I among many would like to see, but I’ll be patient as I'm sure they will come eventually. Longer season and less irrelevant offseason, 10 teams in each division, revised playoff format, new regions and group stage at LAN. I should mention organization items and inclusion, but that goes without saying. Q: Thoughts on the meta? New mechanics? Anything you are working on? Hmm, I don't really have any opinions or predictions. Mechanics will always follow a steady gradient of what you can consistently expect from players in terms of speed and reads. As for what I'm personally working on, it’s just the everlong struggle of playing to your potential when it comes to the games that actually matter. Well ViolentPanda for sure, he's head and shoulders above the rest seeing how he excels in every corner of the game while also having incredible comms and carrying his teams mentally. I hear his team is quite good. As for the other two, it’s irrelevant, really, anyone on their [best] day. Kaydop and Turbo, probably, for argument’s sake. Predicting the World Championships without even knowing the teams yet -- ok, Axel. Dignitas, Cloud9, NRG, Chiefs, WDG and G2, Tainted Minds and some EU team, EG and some EU team. Q: Anything you want to add? Shoutouts? Speech? I don't usually do many shoutouts but my girlfriend probably deserves one. She won't read this anyway seeing as she's terrible at carball (literally lost to a bot then nearly broke my controller) But for what happened on that cursed day back in May, seeing as my entire life seemed to lead up to and depend on the result of those few hours, I was just empty afterwards. Devastation, anger, regret, you name it. So much practice, so much expectation, half a year of playing like a solid RLCS team, being told and knowing you deserve it, unanimously predicted and picked to achieve it. All down the drain because of one day, one series, one moment. I probably wouldn't even have players left in the team to play with next season. I just sat there in my chair, had coursework to do but you bet it didn't get done. I just watched social media roll by, bathed in the disappointment until I couldn't handle it anymore. She had been watching, and had waited a little before coming to knock on my door. By some impulse decision I decided I couldn't bear seeing her yet and locked my door. I lay down on my bed and simply cried, for an hour that felt more like eons. She is probably the only person I can really talk to about all those weights in life, and only when I went to leave for some sympathy food did I learn that she had just sat, back against my door the entire time. I realized I had to let her in then and sadly I didn't get any sympathy food, but at least we got to cry even more, but together. Here's to hoping we never have to go through that again.